After four months of awkwardness, Papa John's and the National Football League are parting ways. 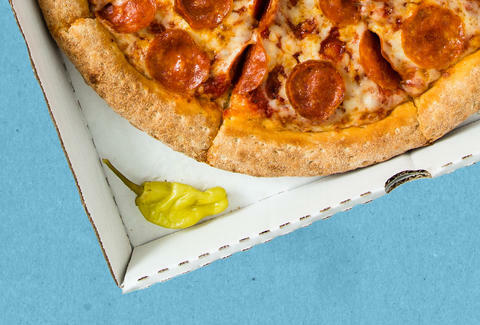 Papa John's is stepping away from one of the most coveted sponsorships in the world, and the NFL is starting a new sponsorship deal with Pizza Hut after eight years with the Papa. The NFL announced the new partnership on Tuesday, just hours after Papa John’s CEO Steve Richie acknowledged on an earnings call that the chain's NFL sponsorship was ending. The original partnership ran into trouble four months ago when Papa John’s founder and former-CEO John Schnatter blamed a slump in pizza sales on NFL players who were taking a knee during the national anthem. There was serious social media backlash against these comments that ultimately led to Papa John himself stepping down from his position as CEO after a month and a half of general anger. Steve Richie, who'd been with Papa John's for 20 years, then took over the chain as CEO on January 1. Papa John's will work out smaller ad deals with 22 local teams but won't be featured prominently at events like the Super Bowl. The NFL shield will immediately disappear from pizza boxes and the chain's national commercials. As he a report by The Washington Post points out, Pizza Hut -- a far larger chain -- got a deal for more money than Papa John's, which had maintained the sponsorship since 2010. Pizza Hut's deal lasts at least four years, and as long as Pizza Hut manages to not spark draw national ire and condemnation, it should be able to maintain the sponsorship.